For more than 15 years, Hoggatt Law Office, P.C. 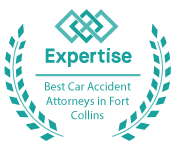 has been serving the residents of Windsor and Larimer County by providing skilled representation for a full range of personal injury and workers’ compensation matters. We believe that when you have been injured, you deserve an attorney who will put your needs first and who will treat you with respect and dignity at all times. When you choose our firm, that is exactly what you will get. We will work hard to uphold the trust you place in us and to get you the compensation you need to start putting your life back together. Injury accidents involving pedestrians and bicycles. If you have lost a family member in a fatal accident, we can also assist you and family by pursuing compensation for wrongful death. At our firm, we know that insurance companies will play games to avoid paying accident claims. However, we will not stand by and allow you to be taken advantage of by big insurers. Instead, we will stand up to them on your behalf and work to secure maximum compensation under the law. Each year, thousands of Colorado workers are hurt on the job. While many are able to collect workers’ compensation benefits without much of a hassle, others struggle to get the benefits they need. Employers and insurers may deny claims, delay payments, or even try to fire an employee for filing a workers’ compensation claim. At Hoggatt Law Office, P.C., we are prepared to help injured workers from any industry, including the gas and oil industry, the trucking industry, and the construction industry. We will work with you from the very beginning, making sure that your injury is reported properly and within the allotted timeframe. Our team will also help you seek the best possible medical care without jeopardizing your benefits. With our guidance, you may be able to collect compensation for past and future medical expenses, lost wages, partial or total disability, vocational retraining, and other considerations. If you or a member of your family has been injured in any type of accident, contact our office right away. Acting quickly is important in protecting your ability to collect compensation. Call 970-225-2190 to schedule a free, no-obligation consultation at Hoggatt Law Office, P.C. today. Our lawyers help injured victims and their families in Windsor, Larimer County, and the rest of northern Colorado.